Have You Been Accused of Drug Trafficking In Illinois? Our attorneys strive to beat every case. 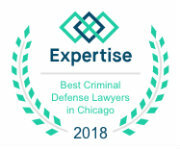 No matter what challenges stand in the way, our goal will be to overcome them in order to keep you out of jail and keep your record clean.If you have been accused of trafficking drugs from state to state, the law offices of John W. Callahan, Ltd., will bring decades of experience to your side. Our criminal defense team is ready to get you results that matter. To speak within minutes with a lawyer who can defend you against drug trafficking charges, call us at 1-877-335-6697 today. You can also e-mail us. Does your case involve the transportation of mushrooms or other psychedelics from state to state? Were you arrested for bringing in large amounts of ecstasy from another part of the country? Have you been accused of distribution of marijuana, cocaine or other drugs that you trafficked in to Chicago, Schaumburg or elsewhere in Illinois? No challenge exists that our law firm will back down from. We have taken on cases in which confessions had been made and guilty pleas had been entered and we have found ways to overcome these obstacles. You can be certain that, no matter what evidence the state has against you, we will take great care in looking into every nook and cranny in search of an opportunity to win your case. We utilize our skills and experience to build strong cases that are dedicated to fighting the drug trafficking charges you are faced with. When you turn to us, you can be confident that we will do everything we can toward the goal of letting you walk away from the charges with no damage done. Does it seem like the evidence against you is overwhelming? Has another attorney told you to just give up and plead guilty? Do you think no lawyer is up to the challenges of your case? We are. 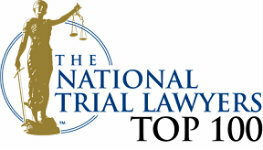 E-mail our firm or call us at 1-877-335-6697 to schedule a free evaluation of your drug trafficking case.